Depending on the university, Erasmus documents might be labeled differently. If you are unsure about anything please ask your coordinator. Ask your host university whether you will be insured and what their policy on insurances is. Please contact your insurance for details. 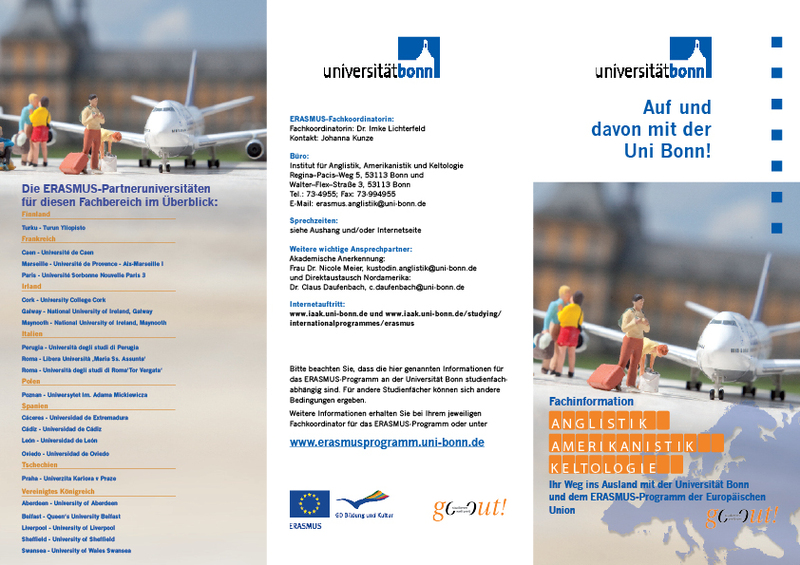 Bonn’s International Office can help you as well. in the Learning Agreement you note down which courses you want to take, it will facilitate the accreditation of courses after your return. This has to be done before going abroad! Click here for Learning Agreement Erasmus+ and Annex.